In February this year I posted on the Seedcamp Road trip to the USA. I jealously followed the Tumblr blog and now Milo Yiannopoulos, the Editor in Chief of The Kernel, has written a great round up of the very successful trip. 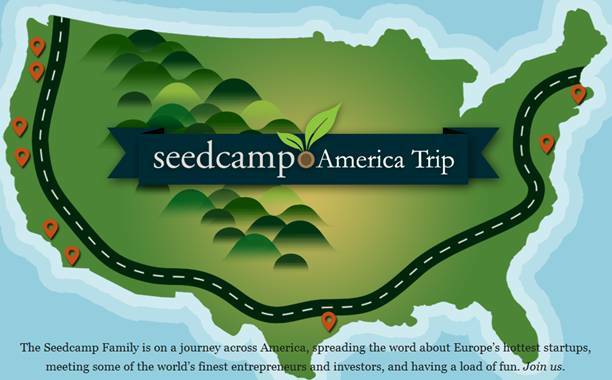 Hats off to the Seedcamp team! Brett was asked by The Entrepreneurs Interactive Club at Imperial College London Business School to present on the subject of ‘building entrepreneurial teams’. On March the 19th Brett joined Allan Wallace of Octopus Ventures and Paul Dowling of Dreamstake to present on how to build world class start-up teams. Seedcamp portfolio company Crashpadder acquired! Congratulations to the team at Crashpadder our Seedcamp portfolio company who were just acquired by Airbnb. This is the second exit from Seedcamp after Mobclix were acquired in 2010 by Velti. Well done to Stephen and Dan!